“I hope the words in this book inspire, challenge, and encourage you. But most of all, I hope they help you remember that you are life, inseparable from the power that grows the flowers and gives birth to galaxies,” writes Jeff Foster. 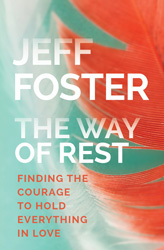 The Way of Rest brings you his companionship and support whenever you need it most.